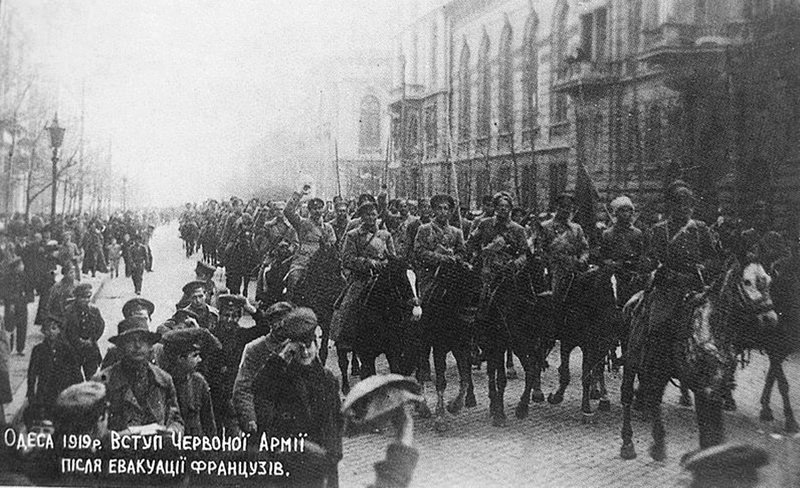 The First World War had not yet ended when the imperialists turned militarily against the then-young Soviet power which had been dominated in Russia through the Great October Socialist Revolution on November 7th (October 25th according to the Old Calendar) 1917. The first British, French and U.S. troops disembarked in the country in Spring 1918. After the defeat of Germany in November 1918, the intervention was intensified: 14 capitalist states participated in the imperialist campaign with a total force of approximately 300,000 men . The aim of international imperialism was the overthrow of the workers' power. The words of V. I. Lenin are characteristic: “The enemies of Soviet Russia surround us in a tight ring of iron to try to deprive the workers and peasants of everything they gained from the October Revolution. The highflying banner of the Russian social revolution is a thorn in the side of the imperialist vultures and they have gone to war against us, gone to war against the Soviet government, against the workers’ and peasants’ government. […] By lies and deceit, saying they had no intention of fighting Russia, these people occupied Murmansk, then captured Kem and began to shoot our comrades, members of the Soviets. True enough, they are not fighting the Russian bourgeoisie, they are not fighting the Russian capitalists, they have declared war on the Soviets, they have declared war on the workers and peasants” . 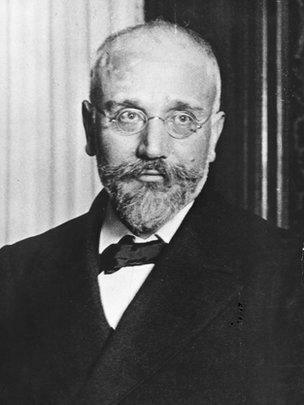 Greece, under the leadership of Eleftherios Venizelos, participated in the imperialist intervention with the 1st Army Corps, consisting of three divisions and a total of 23,351 soldiers. In his memoirs, General Konstantinos Nider, commander of the Greek expeditionary force, wrote that the imperialists organized the Ukraine invasion in November 1918 in Paris, where the Greek government had participated. In order to ensure Greece's military involvement in the imperialist attack against the Bolsheviks, French Prime Minister Georges Clemenceau had stated that “France will take initiative for the territorial extension of Greece towards Thrace and that Paris would support a solution of the Smyrna issue in favor of Greece”. The response from Venizelos was positive: “Please, inform the Prime Minister and Foreign Affairs Minister of France that the Greek army is in their disposal and can be used for a common struggle, wherever is needed”. It was the period when the Greek bourgeoisie was promoting the irredentist concept of the so-called “Megali Idea” (Great Idea), which included the territorial expansion of Greece to Minor Asia. The government of Venizelos had connected this concept with Greece's active participation in the imperialist plans, among which was the “allied intervention” against Soviet Russia. The attempt of the imperialists to overthrow the revolutionary workers' power failed. Their main military forces left the territories of Soviet Russia in the beginning of Summer 1919, while the last U.S. troops withdrew from the country on Spring 1920. A very valuable ally of the Soviet people during these two years was the international working class, working men and women from all over the world who sabotaged in various ways the imperialist plans, as well as troops and seamen who refused to fight against the Soviet people and, in many cases, even joined the Red Army. Even before the beginning of the imperialist campaign, the Socialist Workers Party of Greece (SEKE) – which in 1924 was renamed into Communist Party of Greece (KKE) – firmly opposed the participation of the Greek army. The stance of the Greek communists was a great example of proletarian internationalism, despite the fact that SEKE was back then a very young party. “Rizospastis”, the newspaper of SEKE, played an important role in enlighting the working masses about the imperialist character of the war and the opportunist nature of the Greek government's policy. The articles and reports published in Rizospastis were exposing the role of the Venizelos' government in the imperialist plans, presenting the reactions of the workers' movement across Europe during the intervention. The October Revolution had an important impact on Greek soldiers. Despite the efforts of the Greek government and army officials to spread anti-communism and enmity against the Bolsheviks, there are numerous documented cases of Greek soldiers who actually denied to fight the Red Army. The Greek communists who were living in Soviet Russia – in southern Ukraine and the Caucausus- played a significant role for that. Wherever there was a significant Greek community, the Party of the Bolsheviks had managed to organize relevant Greek-speaking groups of communists. For example, the Greek Communist Group of Odessa had a leading role in approaching the Greek troops who were stationed in the city, circulating declaration written in Greek language and propagandizing solidarity and friendship between the people. 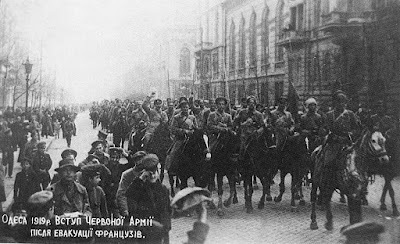 On January 2, 1919, the Greek expeditionary Corps, headed by General Nider, began the route to Ukraine and the first units of the army disembarked in Ukraine on January 20th. The officers and soldiers had been strictly selected, while volunteers from all the Greek Army units had also joined the expeditionary forces. The Greek authorities had managed to indoctrinate the participant soldiers with anti-communist, anti-bolshevik theories. According to historian Giannis Kordatos, the selected officers had to be politically and ideologically committed to Venizelos' party. It is characteristic that among the first army officers who expressed their will to participate in the imperialist expedition were Georgios Kondylis and Nikolaos Plastiras, then prominent army cadets who later played significant role in Greece's politics (both became Prime Ministers) . Despite anti-communist indoctrination, there are numerous cases of Greek soldiers who developed solidarity feelings towards the Red Army. In a letter exchange between a French Major General and Greek Colonel Tsolakopoulos on January 28th, it is certified that the Bolsheviks had already established contacts with Greek troops: “The Greek soldiers had agreed with the bolsheviks and not only they are not going to fight against them but, even more, they will join them”. On February 19th, Kharkiv's newspaper “Isvestia” wrote that 70 Greek soldiers and an officer actually joined the ranks of the Red Army. 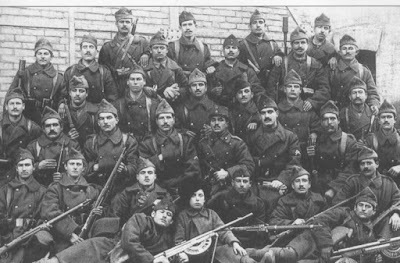 Greek soldiers in Ukraine, 1919. “I want to become a bolshevik. When I was informed who the bolsheviks are, I decided to join them”, a Greek soldier is quoted to have said. Another Greek soldier, whose memoirs were published ten years later, on July 1929, in Rizospastis was stating: “Back then, we the children of the poor working people, were sent to fight against our brothers the Russian workers and peasants and I still can't stomach how our headsmen fooled us in order to send us to this massacre” . In another part of his memoirs, describing the feelings of his fellow soldiers, he says: “All these, all this disaster and blood, just for the interests of the Russian workers' exploiters and the imperialists, for the Tsar's glory. But the Bolsheviks won! Their victory was our victory too, it was a victory of the world's proletariat. This is the only joy that was left out of our disaster”. 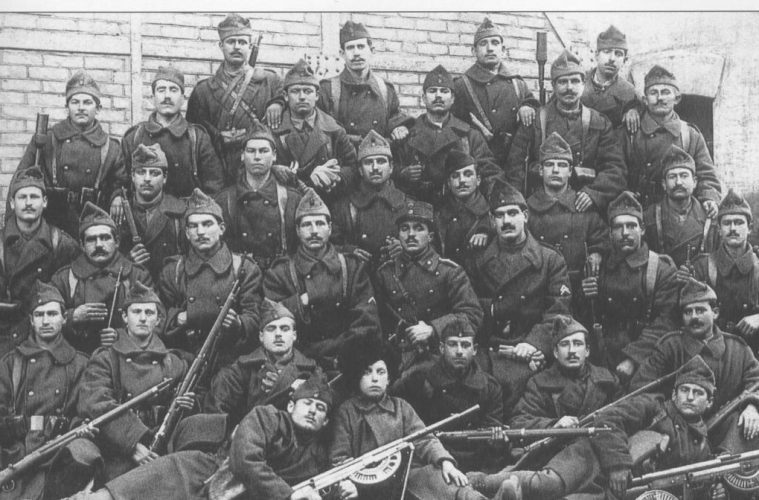 Discipline within the ranks of the Greek Army was further disrupted after the defeat in Berezivka on March 1919. The Greek and French army units had hundreds of fatalities and forced to leave the city, abruptly retreating towards Odessa. There, when the Red Army captured the city, the Greek soldiers denied to fight once again. “The officers were shouting: Take your rifles! But no one moved. If we can't unite with the Red Army, we are not going to fight against them. We will help with our passivity, with sabotage, for the victory of the Proletariat's Red Army” says soldier A.A. and adds: “And we did it! Nobody moved to attack the Bolsheviks. Most soldiers of the Allied uited did the same”. The decision of the bourgeois Greek government to participate in the imperialist intervention against Soviet Russia was a real shame and a dark page in Greece's modern history. However, the brave attitude of a large number of Greek soldiers, who denied to fight against their Soviet brothers, consists a shining example of proletarian solidarity. Avgitidis, Kostas. The military intervention of the capitalist states against Soviet Russia and Greece's role (1918-1920), Syngroni Epochi, Athens, 1999, p.60 (Greek). Kordatos, Giannis. Great History of Greece. V. XIII, 20os Aionas, Athens, 1959 (Greek). Memoirs of soldier A.A., published in Rizospastis, 16-19 July 1929.